PHILADELPHIA – The Bureau of Alcohol, Tobacco, Firearms and Explosives, (ATF) Harrisburg Field Office and the Pennsylvania State Police are asking for the public’s help in the identification of the individual pictured below. 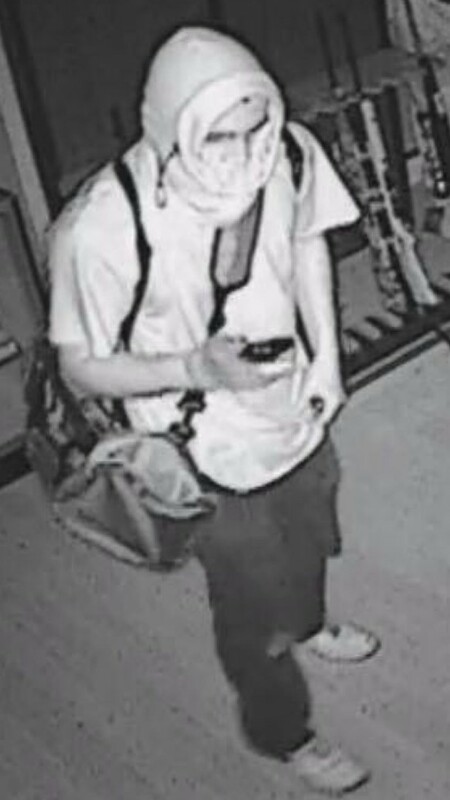 This person is suspected in the theft of 8 firearms that occurred on June 14, 2018 from Calvary Firearms, located at 1764 Lincoln Way East, Chambersburg, Pennsylvania. This is a joint investigation by the ATF Harrisburg Field Office and the Pennsylvania State Police, Chambersburg. Anyone having information about the theft should call the ATF 24/7 hotline at 1-888-ATF-TIPS (1-888-283-8477 ) or email: ATFTips@atf.gov. Tips can be submitted anonymously using the Reportit® app, or by visiting www.reportit.com, using the Philadelphia Field Division as the location. Tips can also be submitted to the PA State Police in Chambersburg at 717-264-5161 .